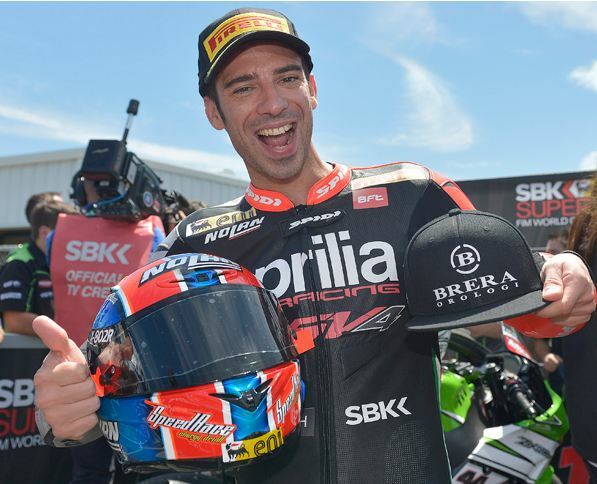 Spidi and Nolan pilot Marco Melandri rode an intelligent race at Laguna Seca this weekend. He chose the perfect moment to force the pace and managed to pull away from all of his opponents. Race two of the United States Grand Prix was a bit of a disaster for all who raced. The race was stopped in total three times. 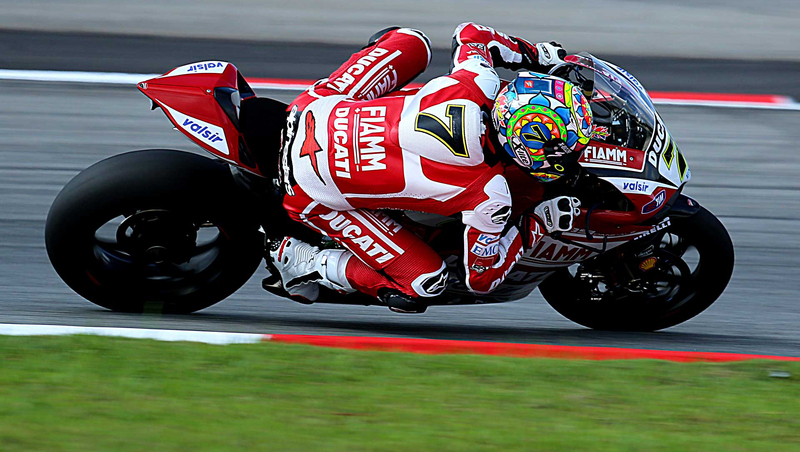 The race was stopped after a few laps for the crash of some riders while he was second. At the restart, when he was leading, the race was stopped again for the crash of Silvayn Barrier. Again leading after the third restart it was his time to crash when the second victory seemed within his reach.